Brunch Perfect Bacon Baked Eggs. Individual sized egg baskets are sure to impress. Melt butter into the cast iron corn bread baker. 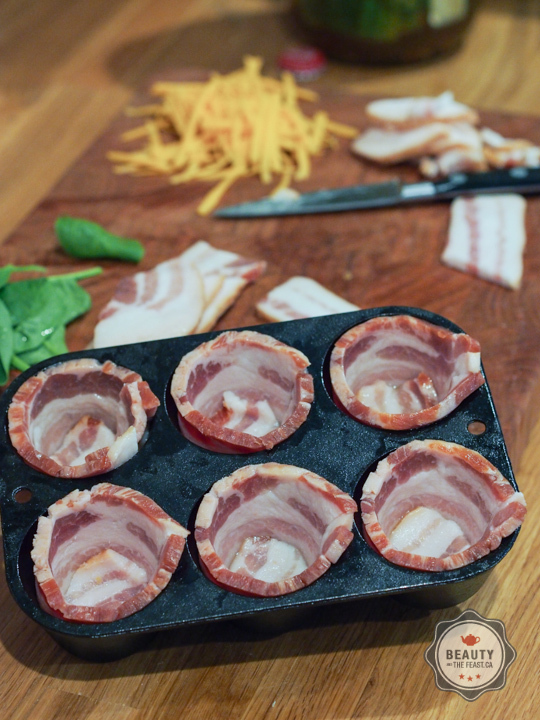 Line muffin tin with Bacon. Bake until almost cooked, about 10 mins. Crack each individually egg into a small bowl then carefully pour into each bacon cup, aiming not to overfill. Bake for another 10-15 mins until cooked. 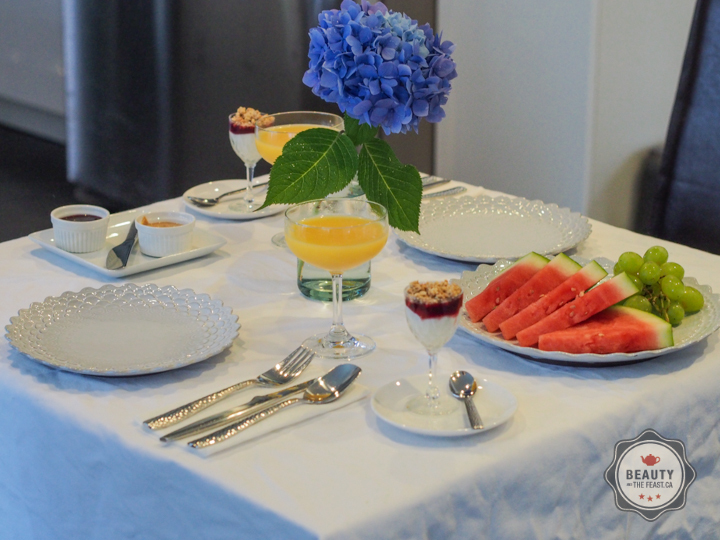 Set a table with things kicking around the house, and serve these eggs! I made two yoghurt parfaits using Greek yoghurt, strawberry rhubarb preserves and some granola. A sure win! 49th P, with my Boo.